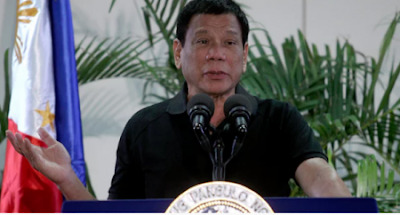 Controversial for his outrageous and divisive comments, Philippines President, Rodrigo Duterte on Friday likened himself to the Nazi leader, saying he wants to kill millions of drug addicts, just as Hitler killed Jews during the Holocaust. Duterte has spent his first three months in office running a campaign to kill all involved in the rampant drugs trade, including alleged addicts, causing outrage from rights groups and foreign governments. More than 3,500 alleged drug dealers and addicts have been killed, about a third of them in police operations but the majority by armed vigilante militias. Duterte has publicly encouraged civilians to kill addicts and said he will not prosecute police for extrajudicial executions. Now, this is one little-minded leader. Sit back and watch your country descend into chaos as people will kill anyone they want and label them drug addicts. Public lynching of suspects. Instead of improving the quality of life of people to eradicate crime, you're setting people against themselves. Note to self: NEVER visit Phillipines.